Racial diversity is represented by 24% of the Waterford student body. Waterford’s Lower School begins the formal process of building a strong, complete foundation to support a lifetime of growth and learning. This starts with a rigorous, focused academic program that seamlessly combines core subjects of reading, writing, mathematics, and history with daily visits to specialists in the subjects of science, visual art, music, dance, and physical education. 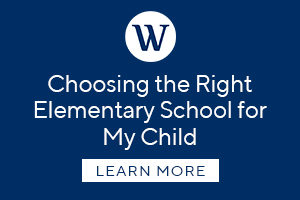 At Waterford, all of these disciplines (together with a rich variety of extra-curricular activities and programs) come together into a cohesive, unified educational experience. During these critical early years, students begin to recognize the joys and rewards of embracing learning for the sake of learning. They form sound work and study habits and explore new talents and interests. And they establish an educational rhythm that will grow, resonate, and expand throughout their Waterford education and beyond. Among the extra-curricular activities in the Lower School are a Community Service Committee, a Math Club for students in Grades 4-5, Chess Competition Club for students in Grades 3-5, Lower School Plays for students in Grades 4-5 (produced by the Upper School Theater teacher), Book Clubs for individual grades, Lower School Outdoors Activities for students in Grades 3-5, and a Robotics program for students in Grade 5. Additionally, Lower School students perform in multiple music performances over the course of the year. Grade 4 and 5 students also compete in the Geography Bee and the Math Bee. And during the winter months, Lower School students can participate in an eight week Snowbird Ski and Ride program, held on Saturdays from December to February.